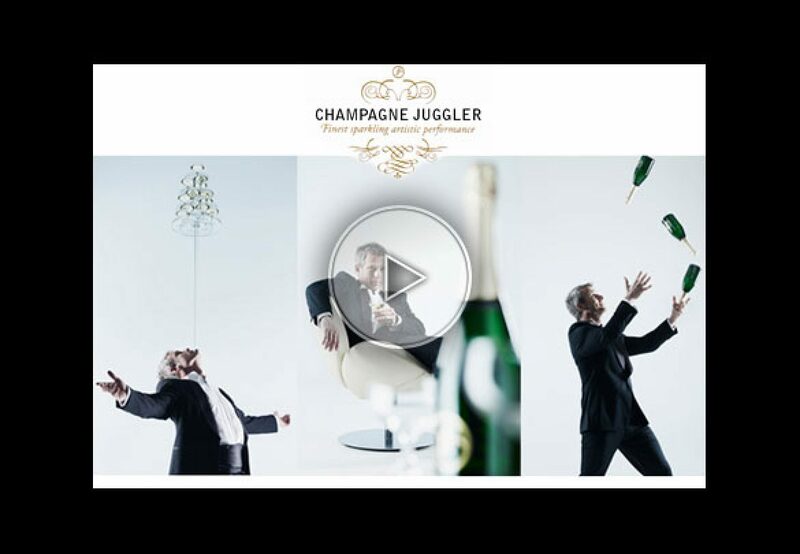 Juggler with champagne bottles: the high-class! Tuxedo, glasses and bottle of champagne for this performer who decided to do his entire act around this alcool with golden bubbles. If your event is about champagne or need to be done around the golden theme, do not hesitate as you will be surprise.